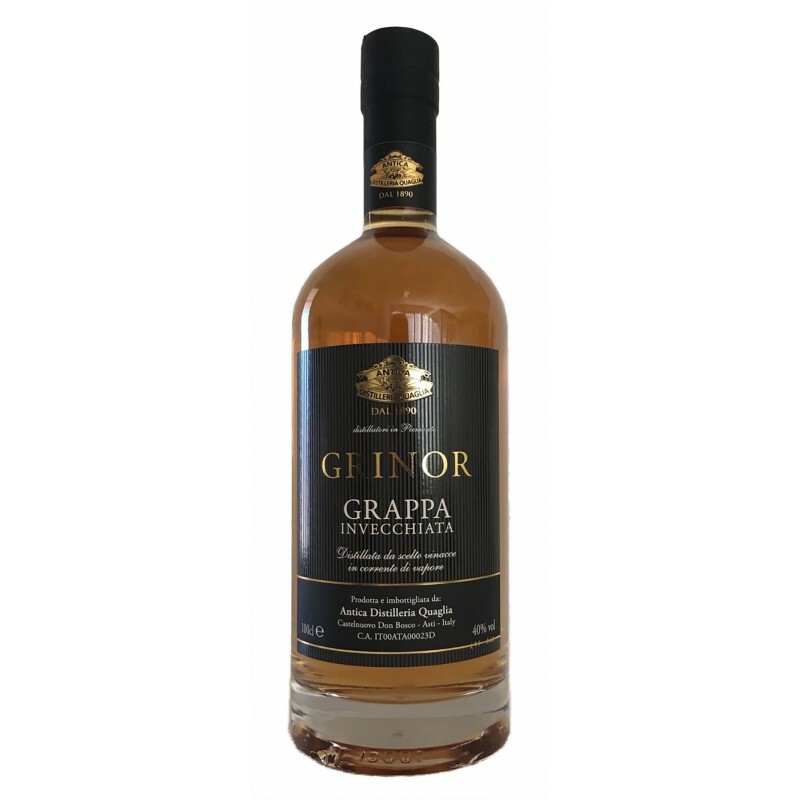 Produced from mixed marcs from the Piedmont countryside, it follows the tradition of the classic grappa of the past. It is presented in the glass with a precious golden color that suggests an atmosphere of pleasant olfactory serenity that is mottled by imperious accents of vanilla, honey and toasted oak. The initially spicy and spicy taste turns later with elegant sinuosity towards sweet and enveloping notes of overripe fruit. Aged for 12 months in Slavonian oak barrels.